Naaz, the 19-year old Kurd from Holland making “quirkpop”, is the perfect example of talent overcoming adversity. She’s had to fight both prejudice and the disapproval of her parents to become one of 2018’s pop sensations while remaining fiercely independent. She did it her own way — as she puts it, “I like sharing that story of being a Middle Eastern girl who wasn’t allowed to do music, but still eventually got to do it and still has a good relationship with her parents.” We should be thankful they eventually relented, for Naaz is rightly lauded as one of music’s brightest rising stars. The Rotterdam-based artist has already dropped an acclaimed EP, Bits Of Naaz, eight tracks of brash yet clever pop with a twist that suggests wisdom beyond her years. A passionate depiction of adolescence, the record manages to cram in an impressive variety of moods and emotions — all relatable, all authentic. “My music’s got a lot of realism and some dark twists in it,” she says, yet she pulls off the not inconsiderable trick of making her songs both catchy and captivating — witness “As Fun”, a bouncy, assured track about falling in love that swings between the jubilant and the soul-crushingly sad. Defiant. Truthful. Anthemic. Fun. Self-aware. 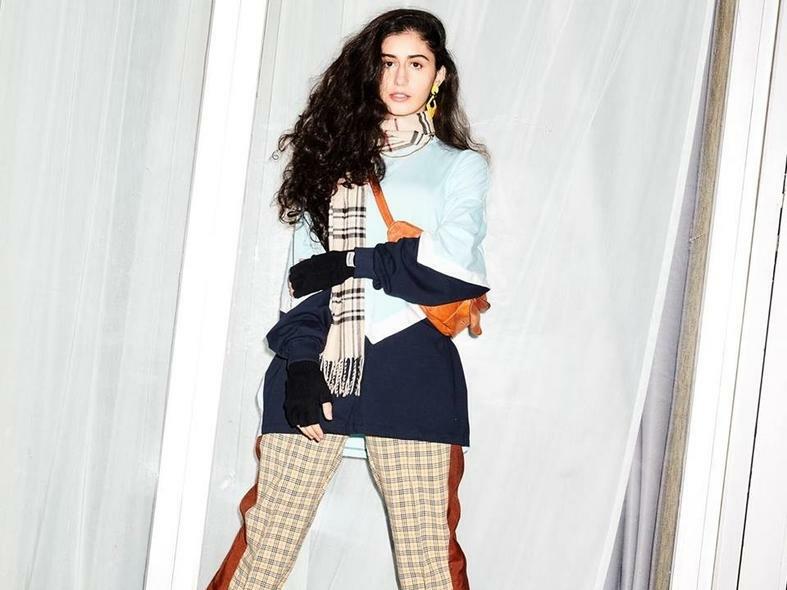 Naaz could be the poster child for a modern generation of pop stars, one that sees past genre, race, and ethnicity to truly embrace the world as it now is. The future’s bright, and it belongs to artists like Naaz.